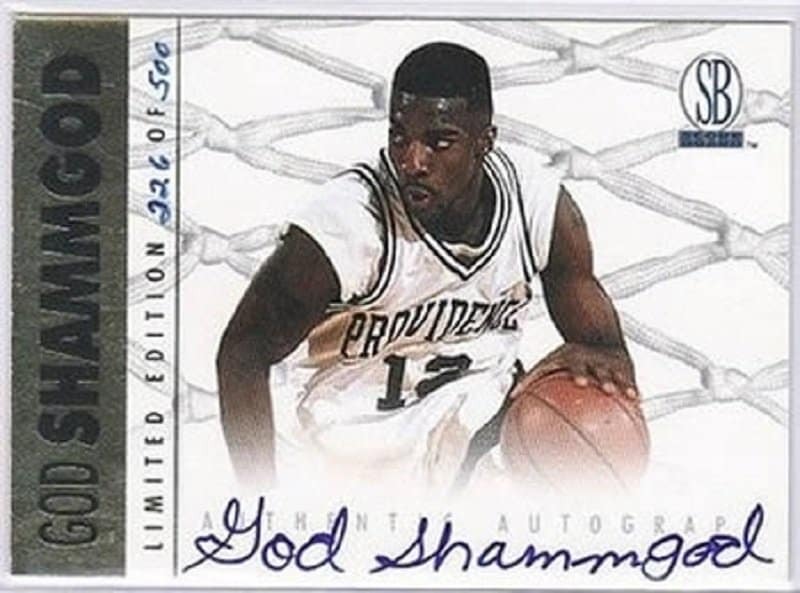 Due to financial and legal issue, basketball star Shammgod Wells had to change his name to God Shammgod. 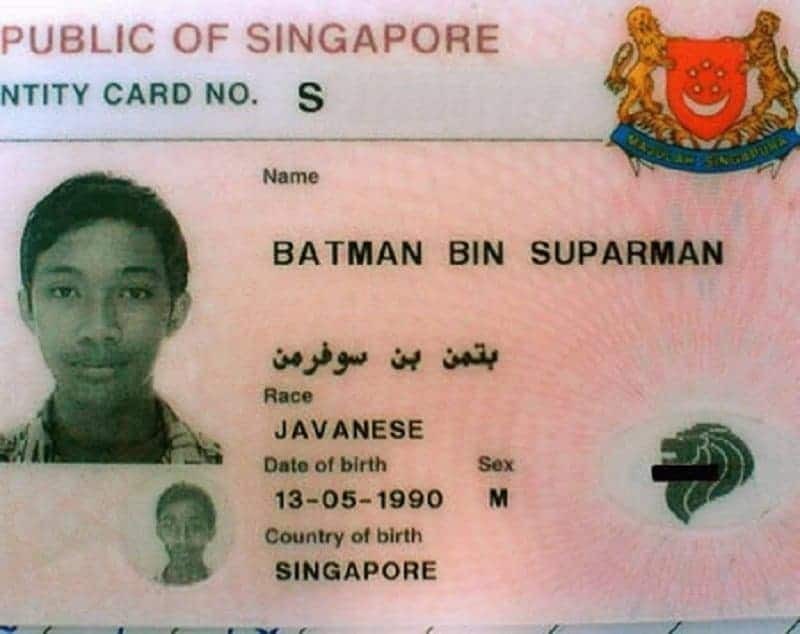 Now that is a boss name! 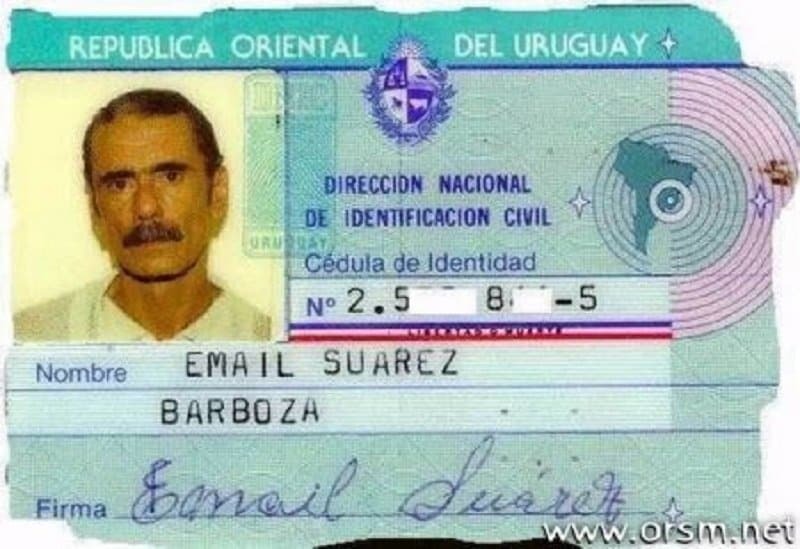 Why hasn’t anyone thought of using numbers in names yet? 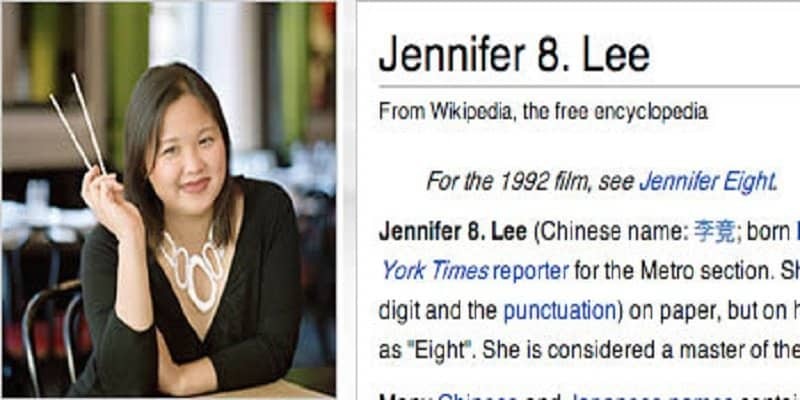 It is official though, 8 is the first number to be used in a name. Congrats 8; you’re a number and a letter! 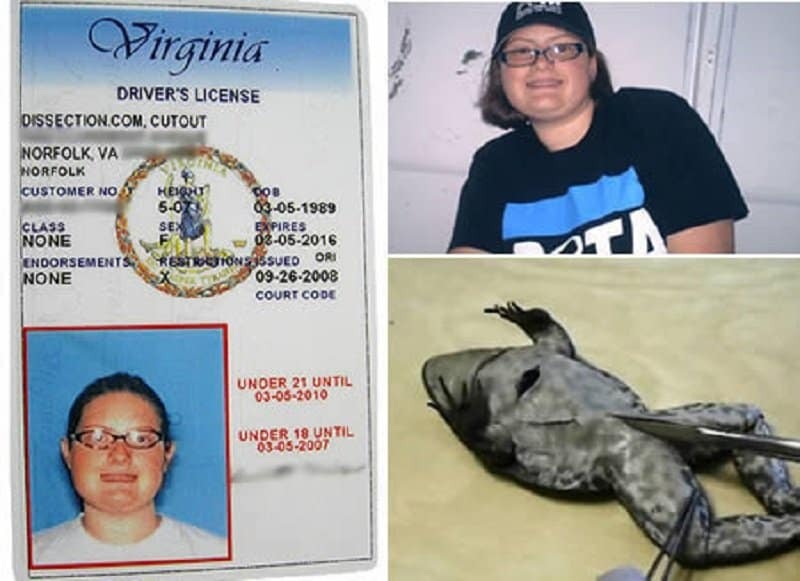 Jennifer Thornburg was deeply disturbed by animals being used for dissection in labs, so she decided to change her name to Cutout Dissection.com to create awareness for the cause. 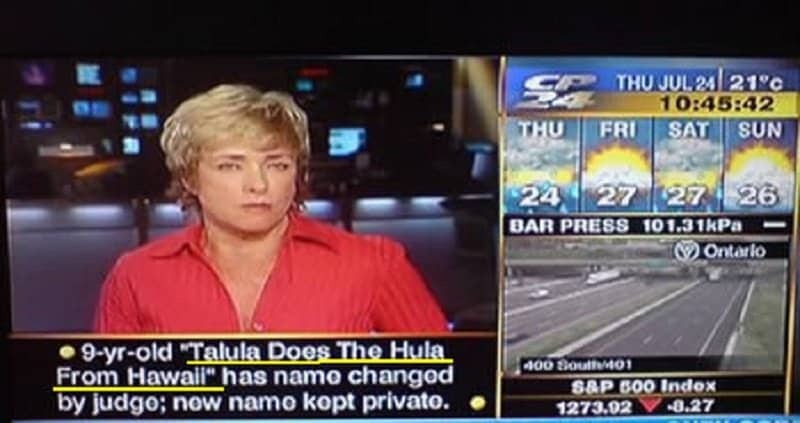 Apparently a judge in New Zealand was so appalled by the name ‘Talula Does The Hula Hula From Hawaii’, that he ordered the parents of the 9-year-old girl to change the name. 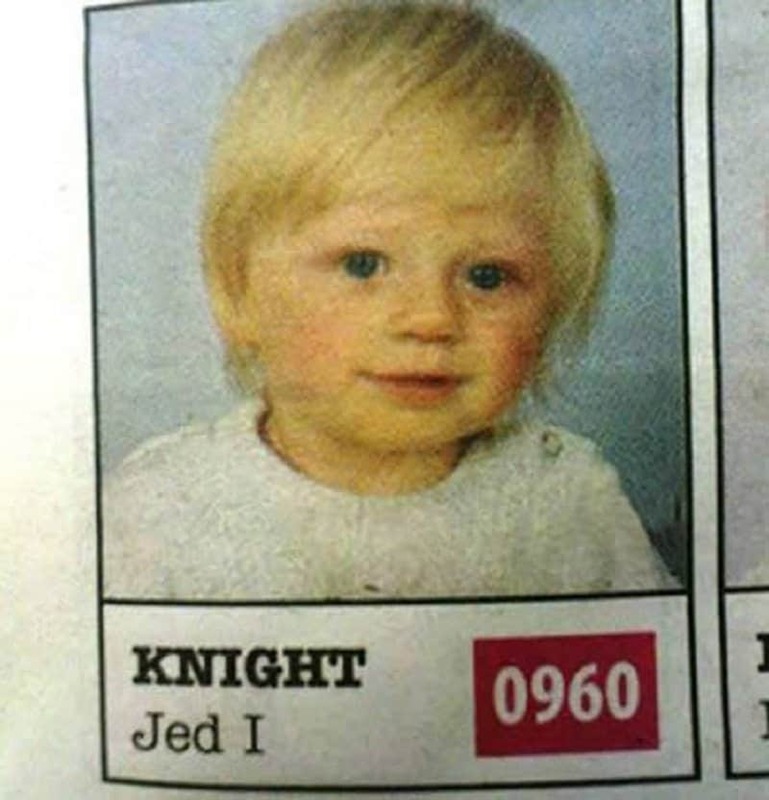 With a name like Jed I Knight, how can you not go one to become a totally awesome person. This is one way to make sure that your child always fights on the side of good. 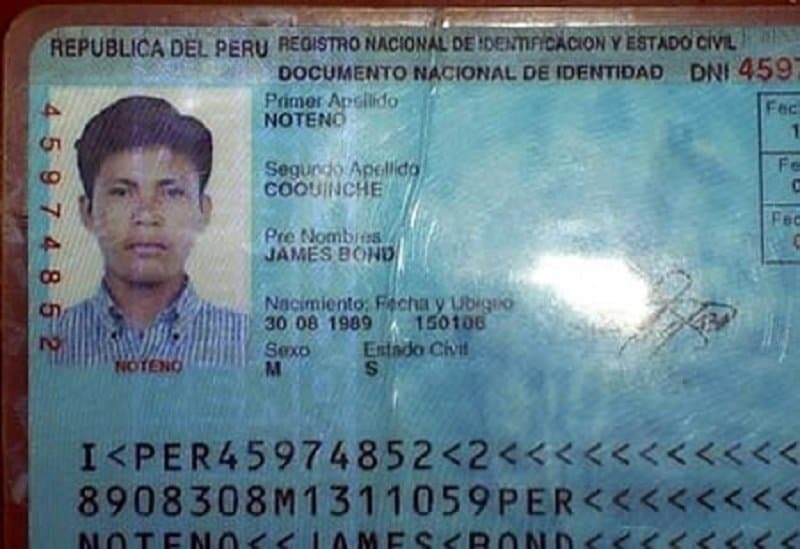 We all assumed James Bond left the secret service for good after ‘Spectre’, but it is evident he has opted for radical facial reconstructive surgery to take on his next mission. Does ‘Bin’ stand for ‘Vs’ in Arabic? 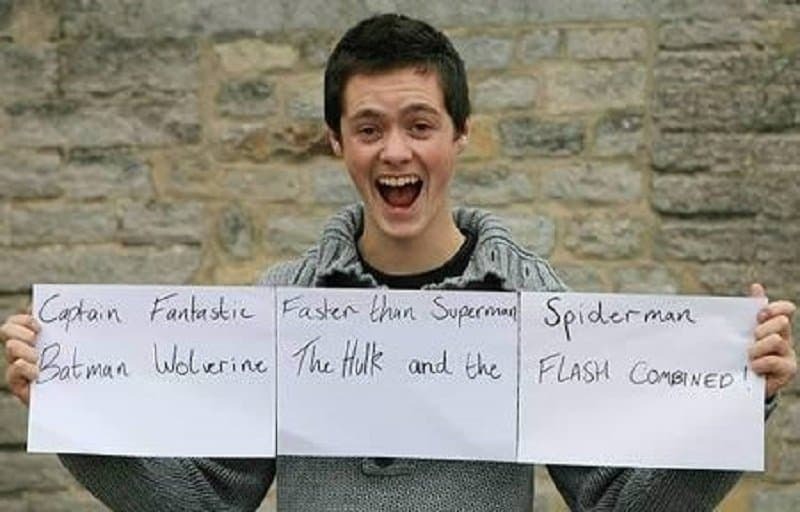 If so, this person’s name is also the name of DC’s upcoming movie. 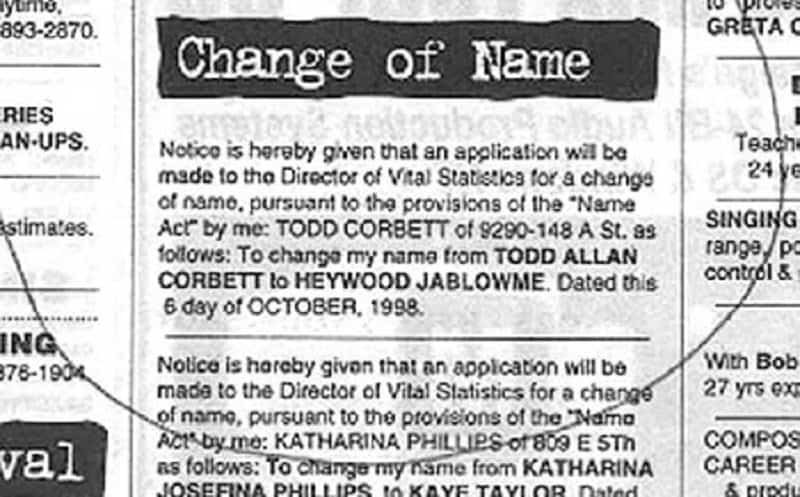 Todd is such a common and unimpressive name. A lot better name has to be Heywood Jablowme.